This is a copy of my post today. There will be two posts every day this week, Monday through Friday, and commenting on the posts could mean that you will win a prize! Check it out at http://davebrethauer.typepad.com/outsidethebox/. 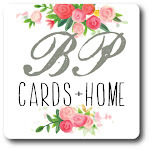 WELCOME TO DAY ONE OF THE OUTSIDE THE BOX BLOG BLITZ! Be sure to come back this afternoon for a post from Pam and check back in each day this week (Monday through Friday) for both morning and afternoon postings! 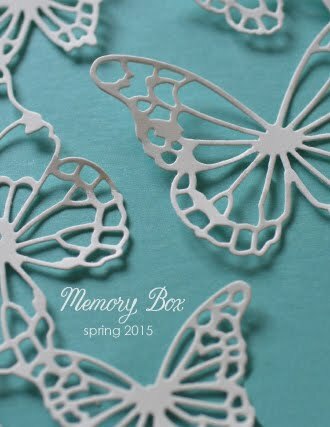 It is sure to be an exciting week with lots of great inspiration as we celebrate the 2015 Collection, the newest release from Memory Box! Remember, too, to leave us comments in order to be eligible to win prizes! I began by die cutting a number of the Heart Ribbons from a variety of papers--white cardstock, a Holly Berry card, and Bubblegum Gingham Patterned Paper. Then I mixed and matched the pieces onto Holly Berry and white notecards (I used a glue pen) before running the completed cards through the die cutting machine again with the larger Cross Stitched Love die. I used my favorite technique for the card on the lower right. First I die cut the Heart Ribbon into the card front. Then I took a piece of white cardstock cut a little bit smaller than the card front, covered it with adhesive and placed it inside the card front under the die cut opening. I took a Heart Ribbon I had cut from white cardstock, punched out all of the tiny pieces and set the white outline into the opening and onto the adhesive. I filled in the empty glue-y spaces with the tiny pieces from the Heart Ribbon that I cut from the Bubblegum Gingham paper. 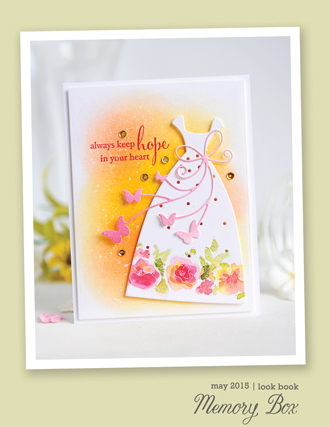 I love how this inset die cut gives the card dimension without adding bulk.Everything lies flush with the card front. 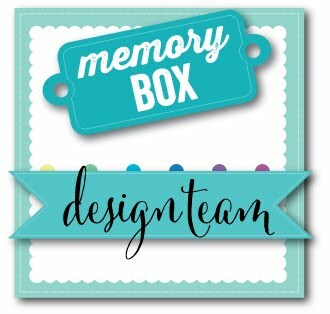 It's not too early to start making your valentines and there are so many lovely new products on the Memory Box website which should aready be making their way to your local stamp store or on-line shopping place. I'll look forward to reading your comments! You just might win a prize! You have until Sunday, January 18th at 11:59pm EST to comment. Winners will be posted on the Outside The Box blog Monday, January 19th.